But how often do we consider the authors behind the book? Maybe we wait anxiously for them to release their next work for us to devour, but did you know there are ways to help that happen? Imagine you’re on Amazon looking for a good book to read. There’s one with a nice cover that looks interesting, but you’ve never heard of the author before, and there aren’t any reviews. Many of us would move on and spend our money on something with ratings or a name we recognize. This is where you can help your favorite writer not get overlooked. After you read their books, write a quick Amazon review (or Target, Half-Price Books, Barnes and Noble-anywhere books are sold) with some specific things you liked about the story (but no spoilers!). While you’re at it, add your review to Goodreads or iTunes or write one for a local newspaper or community newsletter. The more reviews there are, the more popular readers know the book is, and the more likely they are to buy it. Chances are, your favorite writer has one or several social media pages, including Facebook. They might even have individual pages for their books. With one like or follow, you can help. Your friends will see that you liked the page, and they might be intrigued and go take a look for themselves. Every like boosts the page’s popularity, leading more to like and follow. As an added bonus, updates on the writer and his or her projects will show up directly in your feed. The more followers someone has, the easier it is for people to assume they’ve stumbled across someone worth following. Like them. Comment on them. Get involved. Start a conversation for them and also for others on the web. Most authors have a newsletter or email subscription that you can sign up for on their websites. This is the way that they can reach out to their followers personally, and it’s also where they can host contests and giveaways, create street teams, share cover art, and more. Authors create these monthly or weekly communications to build their audience and to get feedback. Once you start following, encourage your friends and fellow readers to subscribe. Imagine social media wasn’t available. This is the best way to interact with your favorite authors and to have information to share. While we mostly think of books as being everywhere, the only way this can happen is if everyone knows where to find it. Depending on who you hear it from, there are over approximately 300,000 books published annually in the United States (Bowker data here). Yet, there’s not enough bookshelf space for every picture book, chapter book, or novel. Librarians and bookstore owners need help to know what you, as a reader, are interested in. When you have a title that you are particularly interested in, but you can’t find it on the shelf, ask for it. Don’t just run home to your computer to order it. 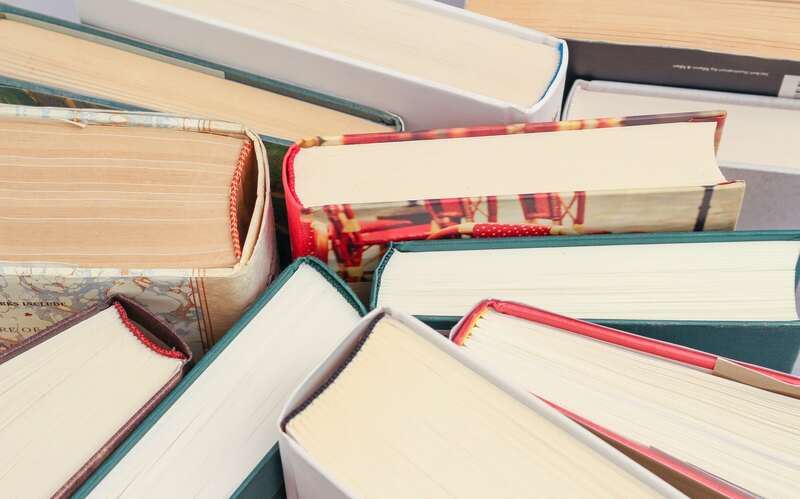 The more bookstores hear from you about specific titles, the more titles they’ll carry which is better for the authors who write those titles…and, really, the industry as a whole. If you love a book, tell your friends and family! Recommend it to them, share the link to it, or maybe even gift them a copy for a birthday or Christmas. You can never give too many books! These are only a few ideas. You can probably think of many more that are unique to you, like attending a book signing. Whatever you do, please join us in spreading the love of good books and supporting the authors writing them!